vSphere 6.0 has been GA’ed for a few months and I have been seeing more customers performing vSphere 6.0 validation in preparation for upgrades to their existing environments or net new deployments. To support vSphere 6.0 GA, NSX was updated with provide vSphere 6.0 compatibility and today (July 22nd), NSX 6.1.4 is the current and latest version of NSX for vSphere 5.5 and 6.0 environments. 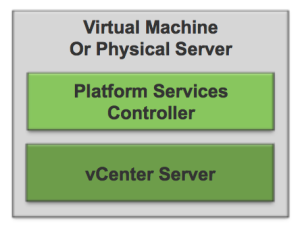 The vSphere 6.0 architecture introduces a new capability called Platform Services Controller (PSC) which provides common services that can be shared by multiple vCenters enabling many of the cool features of vSphere 6.0 such as vCenter to vCenter VM vMotion. A multi-master model, as was introduced in vSphere 5.5 vCenter Single Sign-On. Appliance-based or Windows-based, both able to participate in multi-master replication. 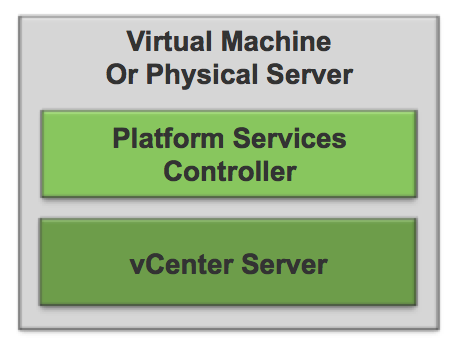 Appliance-based or Windows-based PSCs can interoperate with Appliance-based or Windows-based vCenter Servers. The storing and generation of the SSL certificates within your vSphere environment. The storing and replication of your VMware License Key. The storing and replication of your permissions via the Global Permissions layer. The storing and replication of your Tags and Categories. A built-in feature for automatic replication between different, logical SSO sites. One single default domain for the identity sources. What is important about this topology KB is that it calls out depreciated topologies so if you are using any of these topologies, it would be a good time to migrate to one of the supported topologies when planning a vSphere 6.0 upgrade. The one very important point regarding NSX 6.1 and the vSphere 6.0 Platform Services Controller which may not be clear from the above KB is NSX 6.1 only supports 1 Single Sign-On domain, 1 Single Sign-On site, 1 vCenter Server with embedded Platform Services Controller. For customer considering the migration from vSphere 5.5 to vSphere 6.0 and are currently using linked mode multi data center vCenter solutions and want to deploy one of the single/multi PSC/multi vCenter topologies, an upgrade will first require NSX 6.1 to be upgraded to NSX 6.2 followed by the upgrade of vSphere to vCenter 6.0. All straight forward but may not be apparent. NSXv 6.2 is scheduled for GA “real soon now” so hang tight!